Hot, Hot Hot!!!!! 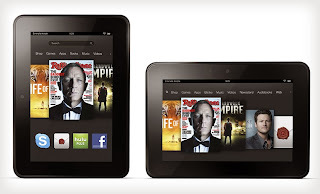 Many of you have been looking for a SUPER STEAL on a Kindle FIRE HD. Well, here's a deal that you don't want to miss! Best Buy Online starting at Midnight CST is going to have the Kindle Fire HD 7' for ONLY $100 Shipped. You'll need to use the promo code: KINDLEDEAL to score this one! For more of the latest deals and greatest steals, stay tuned to The Coupon Centsation Facebook.